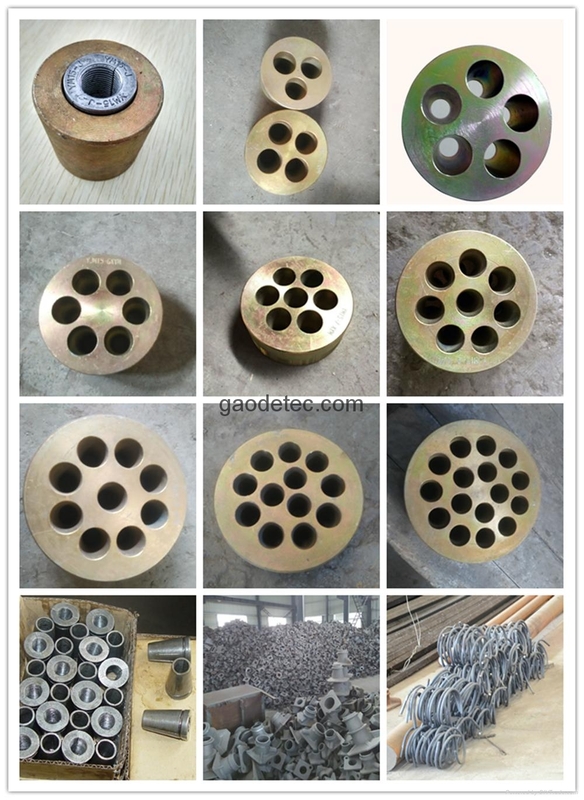 Prestressed tendons in anchorage probably can be divided into: clamp plate anchorage, bearing type anchorage, cast type anchorage, cone plug type anchorage and pressing type anchorage. Clamp plate anchorage types are: JM, QM (anchor) and XM (inclined anchor), etc. Wide range of choice, GYM series anchor system is suitable for the number of pc strand from 1-55 tendons, and can be produced as per customer requirement.